Beginning in the early seventeenth century and continuing to the present, the city of Dublin built up a portrait collection, which is unique on the island of Ireland in terms of range and diversity, and is brilliantly expressive of the political aspirations and realities that have informed its creation. 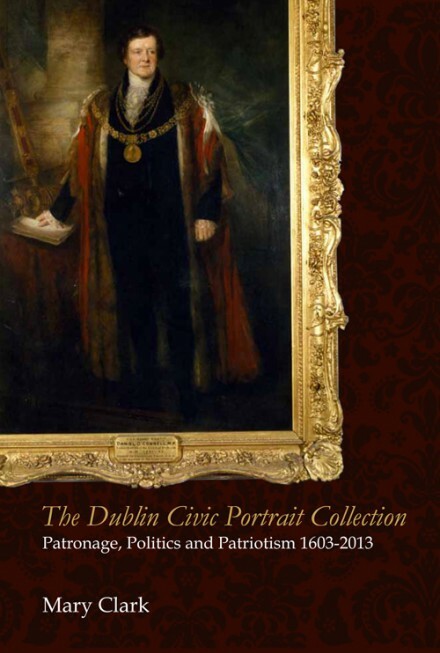 The Dublin Civic Pottrait Collection contains sixty-six works in oil on canvas and eight statues in btonze or marble. These can be placed in three principal categories: portraits of royal personages; portraits of lord lieutenants of Ireland; and portraits of lord mayors and aldermen of Dublin. The collection includes works by important Irish artists such as Thomas Hickey, Hugh Douglas Hamilton, Martin Cregan, Stephen Catterson Smith, Dermod O'Brien, Robert Ballagh and Carey Clarke and by leading English portraitists including Sir Joshua Reynolds, George Romney, Sir William Beechey and Sir Thomas Lawrence. The portraits are on display in the lord mayor's residence, the Mansion House, and in the City Hall, where meetings of Dublin City Council take place. The statues are mainly on display in City Hall and include works by Edward Smyth, Sir Francis Chantrey, John Hogan and Sir Thomas Farrell. Two underlying principles informed the creation of the civic portrait collection. Portraits were commissioned or acquired first as a means of articulating political loyalties or in support of particular campaigns current in Dublin. The portraits also functioned as a means of furnishing the principal civic buildings. Initially, Dublin commissioned a series of royal portraits to express and consolidate its loyalty to the crown - and these were displayed in the Tholsel, where the City Assembly held its quarterly meetings. Between 1765 and 1813, the city focused on obtaining portraits of the crown's representatives in Ireland, the lord lieutenants, who wete also known as viceroys. These vice-regal portraits were acquired in pursuit of specific political aims, and were hung in the Mansion House, the lord mayor's residence. From 1665 onwards, individual lord mayors had commissioned their own portraits for display in their family residences but it was not until 1792 that Dublin undertook an official process of recognizing the mayoralty by commissioning portraits for the Mansion House and later for City Hall. The following is a brief survey of the genesis of the Dublin Civic Portrait Collection according to category. Dublin owed its very existence as a free and independent city to royal patronage. Captured in 1170 by Richard de Clare, earl of Pembroke, during the Norman invasion of Ireland, the city was subsequently surrendered by him to Henry II, king of England. Dublin therefore became the property of the crown. The city's development from the focal point of a colony in the twelfth century to the seat of an autonomous Irish parliament in the eighteenth century was largely dependent upon concessions, which were obtained from the monarch by the citizens, through their municipal government, the Dublin City Assembly. Guarantees of loyalty underpinned requests for privileges and were especially necessary when the crown was under threat, while new dynasties and shifting religious allegiances meant that supporters of the monarchy had to change rapidly in response to new realities or perish. Dublin proved to be especially adroit in transforming its religion and politics to maintain its loyalty to the crown. During the religious upheavals of the sixteenth century, the city commissioned portraits of successive Tudor monarchs to adorn charters granted by them. Images of the Protestant Edward VI, of the Catholic Philip and Mary and later of Elizabeth I decorated royal charters issued in 1548, 1554 and 1582 respectively.' These images were executed in Dublin - those of Edward and Elizabeth are richly illuminated in colours and gold leaf while the pictures of Mary Tudor and Philip are merely drawn in ink - a variation perhaps indicative of the respective wealth of Protestant and Catholic members of the Dublin City Assembly. However, the regal image as portrayed in the Dublin charters was not truly public, because it was seen only by a select few who had access to the documents, including the mayor, the town clerk and the recorder, who was the city's principal legal adviser. The acquisition and display of royal portraits in oils on canvas in civic buildings was the next step towards proclaiming Dublin's loyalty in a visible manner. When Elizabeth I died in 1603, James VI of Scotland guaranteed the Protestant succession by becoming James I of England. This was not universally welcomed, and the new king's very survival was threatened by the Catholic Gunpowder Plot that failed to blow up the houses of parliament on 5 November 1605. Dublin moved to confirm its support of the beleaguered king. At Michaelmas 1606, the 'picture-maker' Ralph Cotton was admitted to the civic franchise, on condition that he presented the city with portraits of the king, queen and prince, instead of a fine, as was usual.2 By obtaining portraits of James I, of his consort, Anne of Denmark, and most importantly of their eldest son and heir, the young and brilliant Henry, prince of Wales,3 Dublin now registered its allegiance in a permanent manner not only to the new king but more significantly to the new Stuart dynasty. These were the first portraits ever commissioned by the Dublin City Assembly. Displayed in the Tholsel, their tenure was short-lived, since they were removed during the Cromwellian inter-regnum and subsequently vanished. This pattern was to be repeated with later royal portraits: commissioned to express fidelity, portraits were removed and destroyed in line with the fall of a particular monarch.